Attention K-3 teachers in Maricopa County! Join Superintendent Steve Watson's Book Club and help other teachers with your book recommendation. Simply tell us the name of the picture book your class likes the best in the form below. Each month, we'll select one random winner. 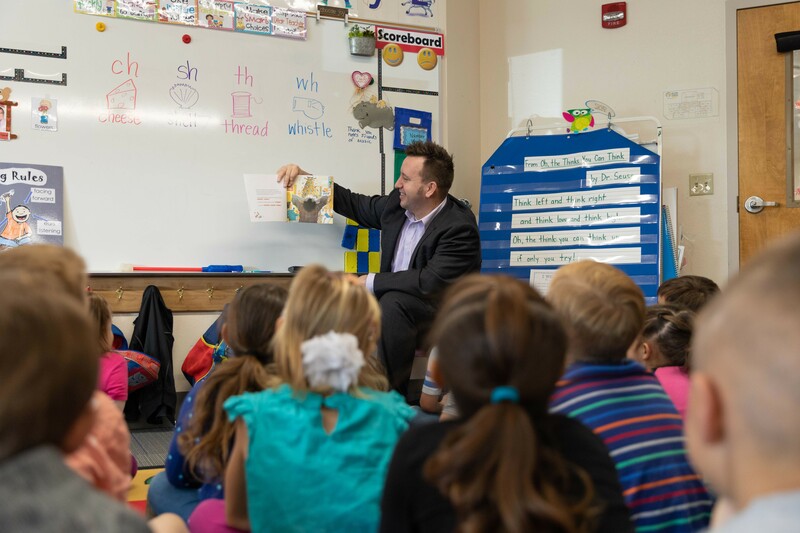 If we pick you, Superintendent Watson will come to your classroom and read your favorite picture book to your class. Plus, your classroom will get five new mp3 players loaded with audio books for your listening center, and all of your students will get a paperback copy of the book! And that's not all! In celebration of National Nutrition Month, we're partnering with the Maricopa County Department of Public Health to bring a surprise for March's winner. The selected classroom will also get a visit from Fruitman, who will let the students make their own smoothies with his special blender-blike! TELL US YOUR FAVORITE PICTURE BOOK! This promotion is in no way sponsored, endorsed or administered by, or associated with Facebook, Twitter, Instagram or any social media platform. You are providing your information to the Office of the Maricopa County School Superintendent and not to Facebook. The information you provide will only be used for winner fulfillment and notification of future giveaways. One winner each will be randomly selected on or about 12/3/18, 1/14/19, 2/4/19 and 3/4/19. One entry per person. All entries will remain eligible through 3/4/19. Winner must be an active teacher within Maricopa County at time of selection. Winner will be notified by phone to arrange for the Superintendent's visit. We'll notify each winner by phone within 5 days of each drawing.